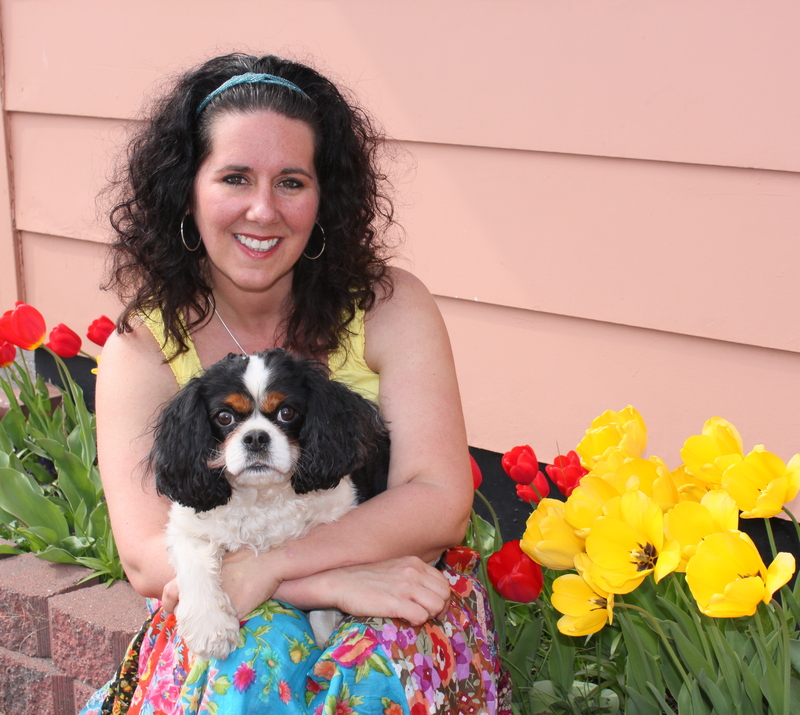 Our dog Phoebe and I enjoying sunshine and tulips on a gorgeous May afternoon. 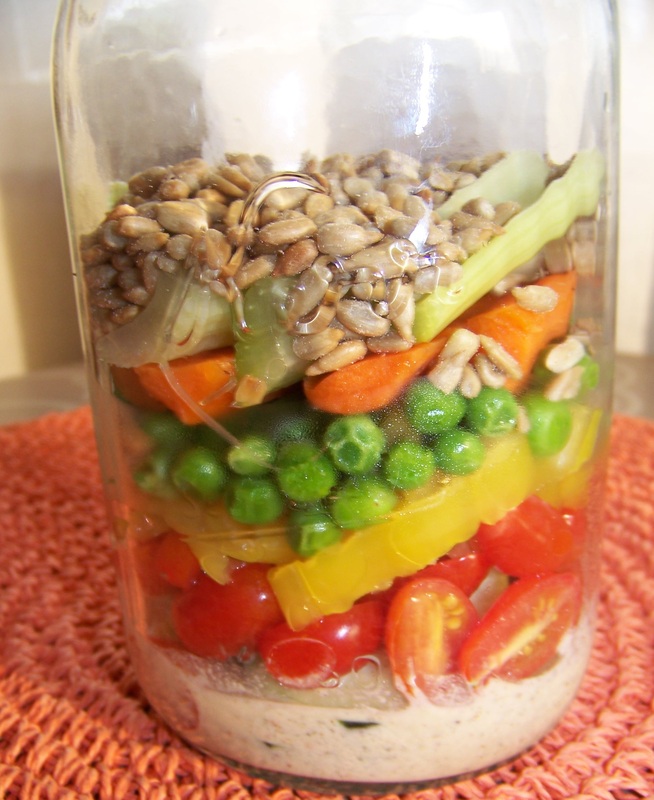 If you have a Pinterest account you are probably familiar with Mason Jar Salads. They are easy to make, keep for up to a week in the refrigerator, and are visually appealing (I think they look like lovely edible terrarium gardens). 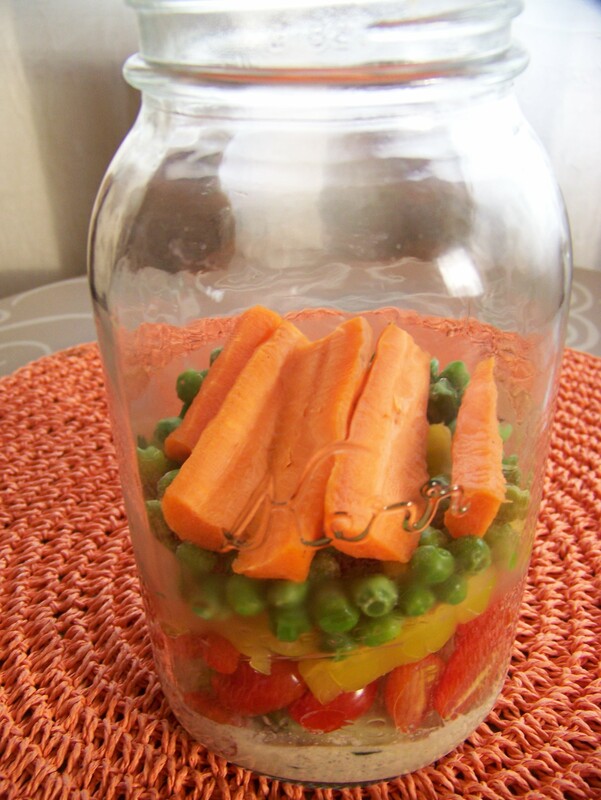 Jarred salads are a great way to encourage yourself, and your family, to eat more fruit and vegetables and reduce waste (since you will not be throwing out unused produce). Food waste is usually a common concern that comes up when people tell me they are trying to eat healthier. So many people confess to buying fresh fruit and vegetables which become doomed to live in the bottom of the refrigerator drawer to inevitably spoil and get tossed in the garbage. If that is a problem that plagues your kitchen, I think that these salads are exactly what you need to make! 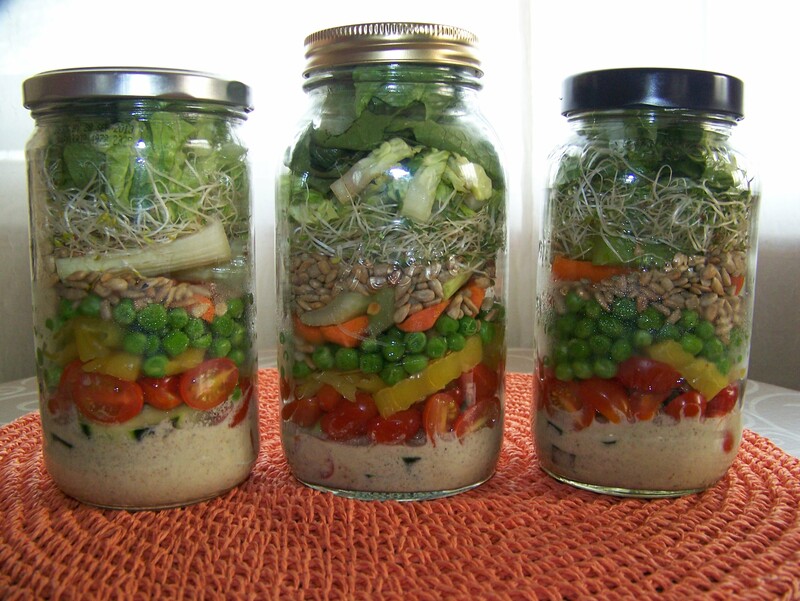 For the past few weeks I have made a number of Mason Jar Salads to enhance my lunch and dinners. 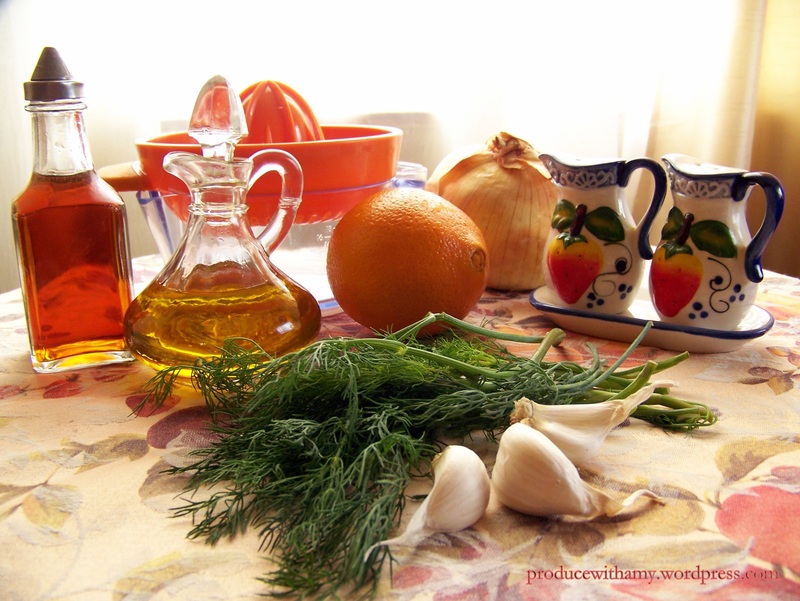 Usually, I toss in the ingredients that I have on hand but this summer I hope to come up with recipes for tasty salad combinations (I have already brainstormed ten recipes, two of which I will share today). A few weeks back I made a visual for my Produce with Amy Facebook page and for these salads I used vinegar and oil dressing, bell peppers, banana peppers, carrots, cucumbers, tomatoes, garbanzo beans, radishes, red onion, kalamata and garlic stuffed green olives, pea pods, artichoke hearts, and romaine lettuce. While I often have Mason Jars on hand from my mom’s should-be-world-famous dill pickles, I give the jars back to her so she will give me more. Instead of going out and buying new Mason Jars, I started recycling spaghetti sauce jars and they work perfectly for the jarred salads. 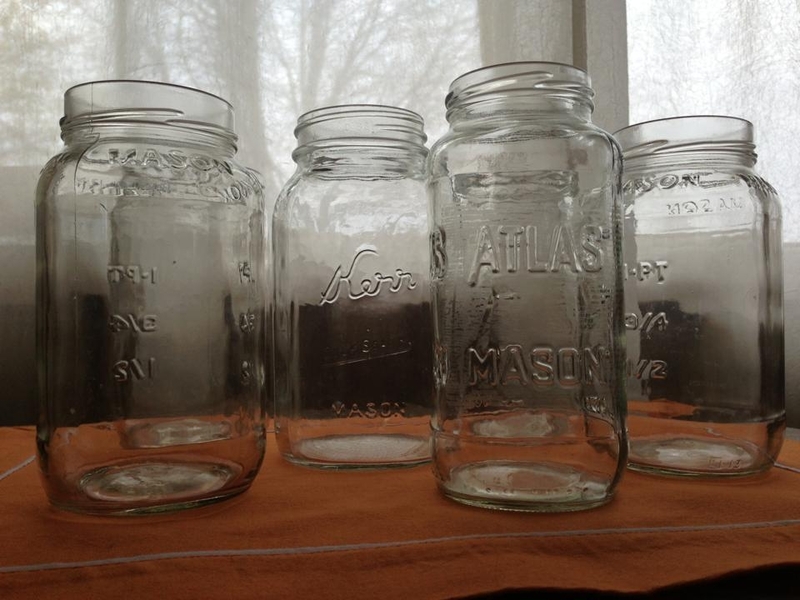 However, I plan to eventually purchase wide-mouthed one quart Mason jars for my salads. When you prepare your salads make sure that you add the dressing first, heartier vegetables and fruit next (bell peppers, carrots, beans) and the lettuce last (the acid in the dressing will make the lettuce slimy so you have to make sure it does not touch). 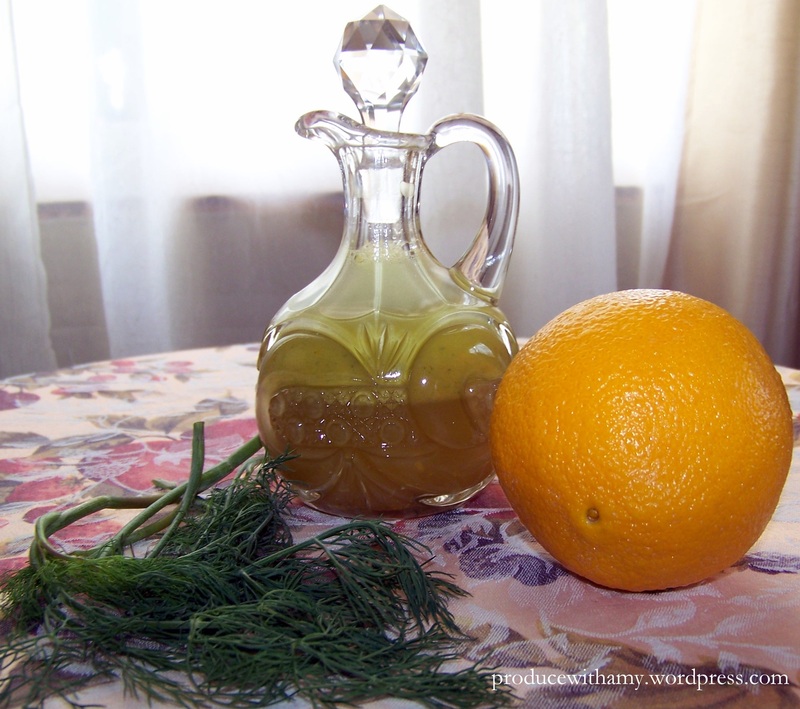 The salad dressing marinates the fruit and vegetables that it touches and helps marry the flavors of your salad. Q: Do you have to vacuum seal the salads? 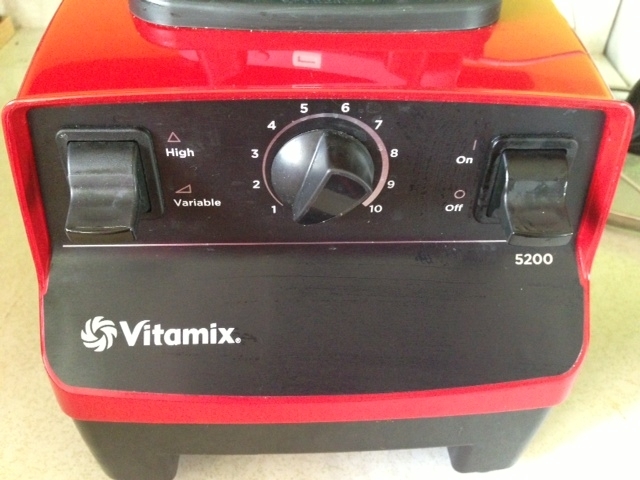 A: No, I do not vacuum seal my salads. I simply close the lid tightly and they have kept for seven days in the refrigerator. They may even last longer but I often eat one for lunch and one for dinner so they disappear quickly. Q: Can you put meat and cheese in the salads? 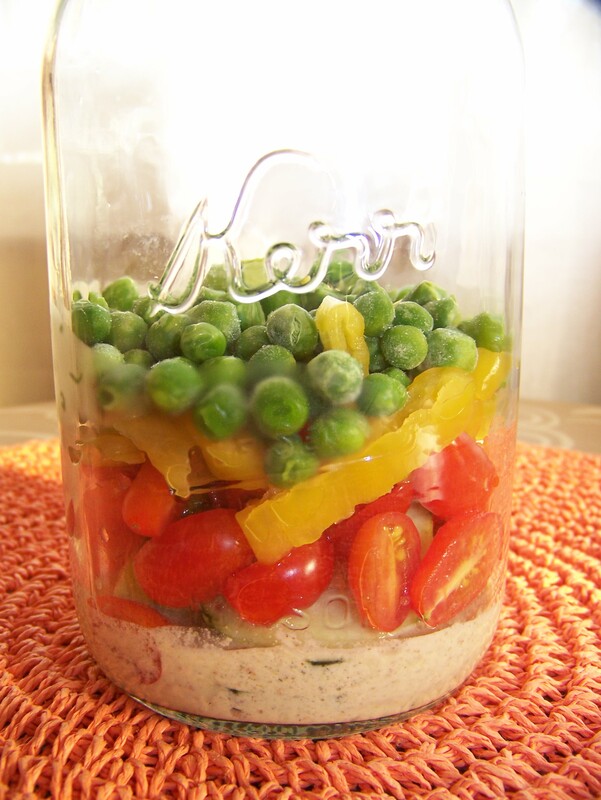 A: While I do not eat meat or cheese, I have seen Mason Jar Salad recipes that contain both. I would think that the meat would stay fresh for a few days and I would sprinkle cheese near the top of the salad. Q: How do you eat the salads? 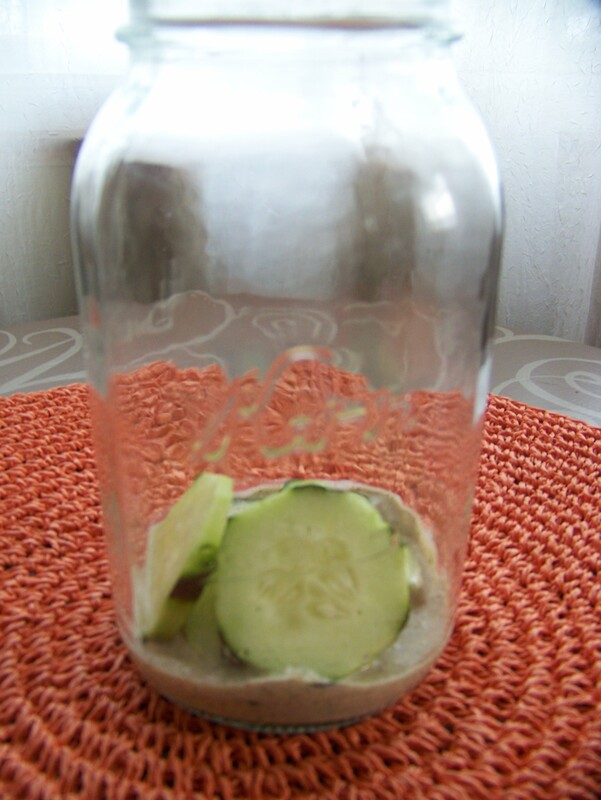 A: Give the jars a shake and pour on a plate or bowl or eat straight out of the jar. Q: What is the benefit of putting the salads in a jar? A:1. The glass helps keep the greens crisp. I read one blog post where a woman washes and stores all her greens in glass jars in the refrigerator. 2. 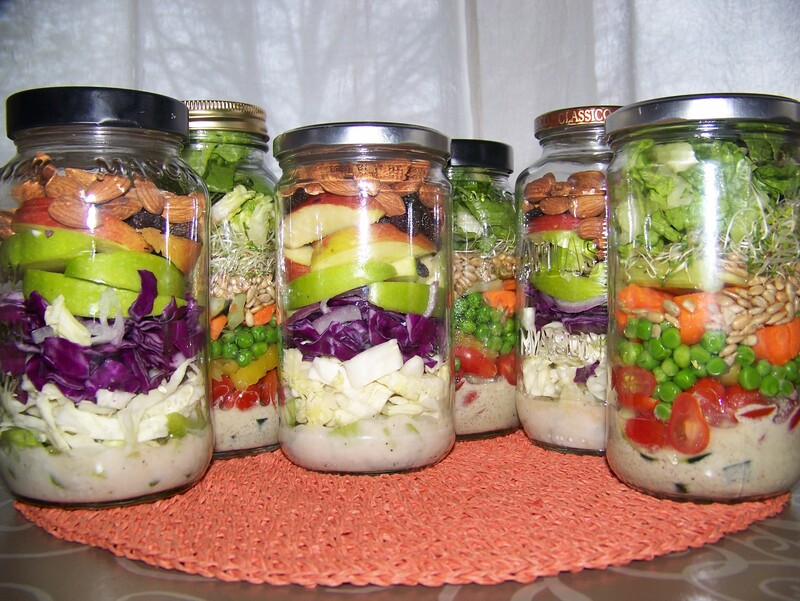 The salads are quickly made in bulk and the slim jars are easy to store in the refrigerator. 3. I have made the jarred salads for my husband and they fit easier in his lunchbox (cooler) than a covered bowl. 4. The salads are visually beautiful and a great reminder to grab a healthy snack before or after school/work. You can also make fruit salad in the jars. 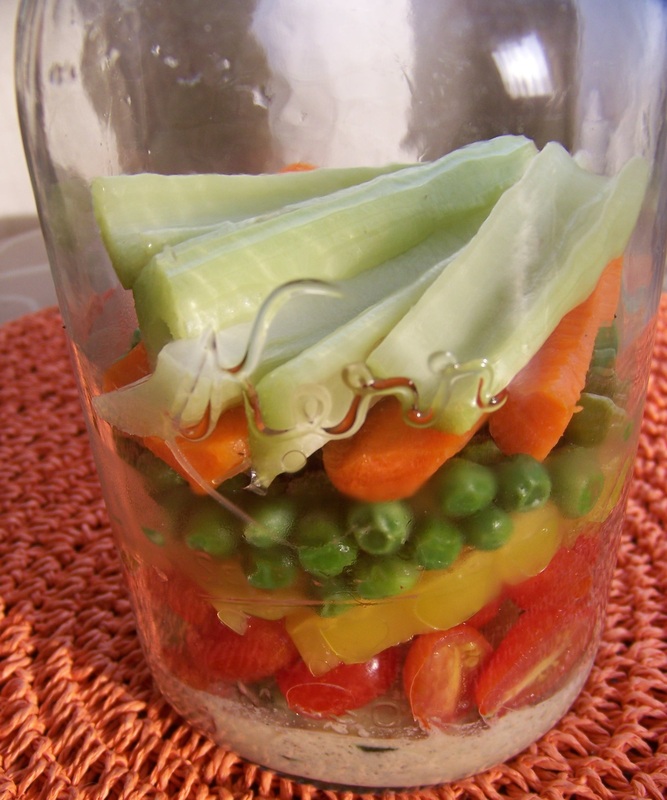 Kids LOVE helping make the salads and you can use smaller jars for small children. 5. Many of my Weight Watchers members commented that if they toss together a salad for work or after a long day they use lettuce, tomato, and maybe cucumber. The jarred salads REALLY hold a lot of ingredients and are a great way to add variety and rainbow of fruit and vegetables to your menu. I find that the more layers that I add the more visually appealing the salads become. 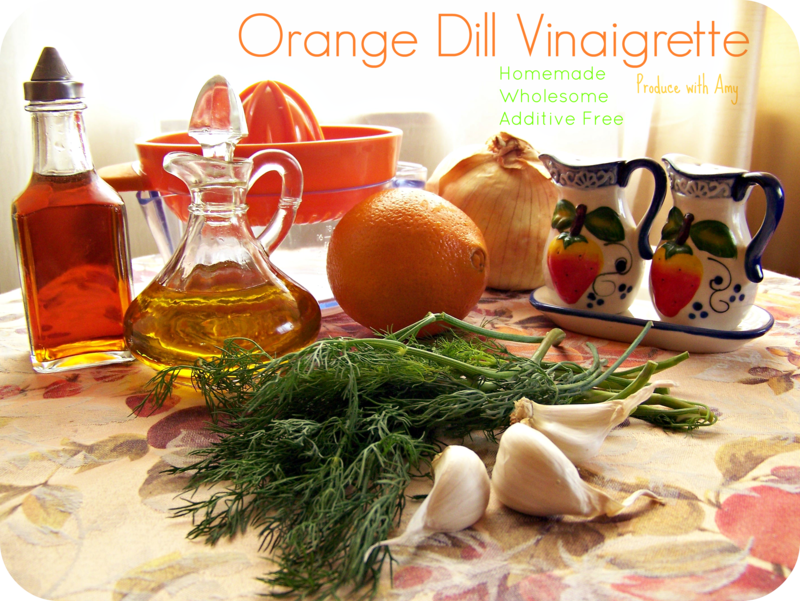 My friend Sally Karttunen shared a great tip for the jarred salads. She said when she made her salads she used mason jars and added a large, decorative cupcake paper liner to the flat jar lid before screwing on the jar ring. This touch made the salads extra cute and attractive. Thanks for the great tip, Sally! 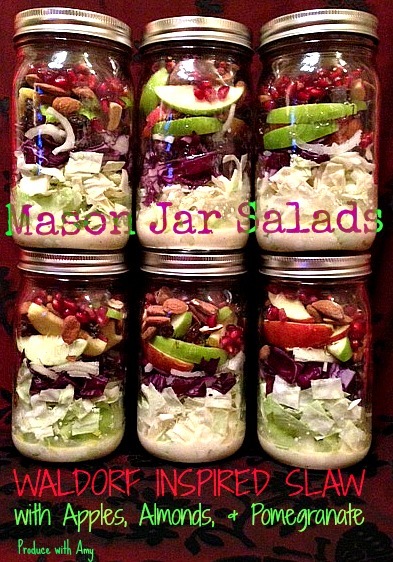 The two jarred salad recipes that I will share today are CLASSIC SALAD BAR IN A JAR and WALDORF INSPIRED SLAW. 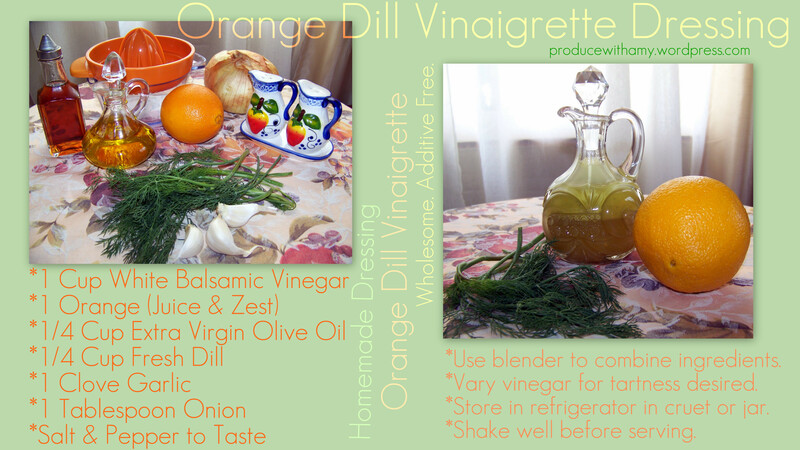 Traditionally, I am a fan of vinegar and oil based Italian salad dressing. Yet, since going to plant based eating I find that I eat one or two salads a day and have worked hard to add variety into my salads. 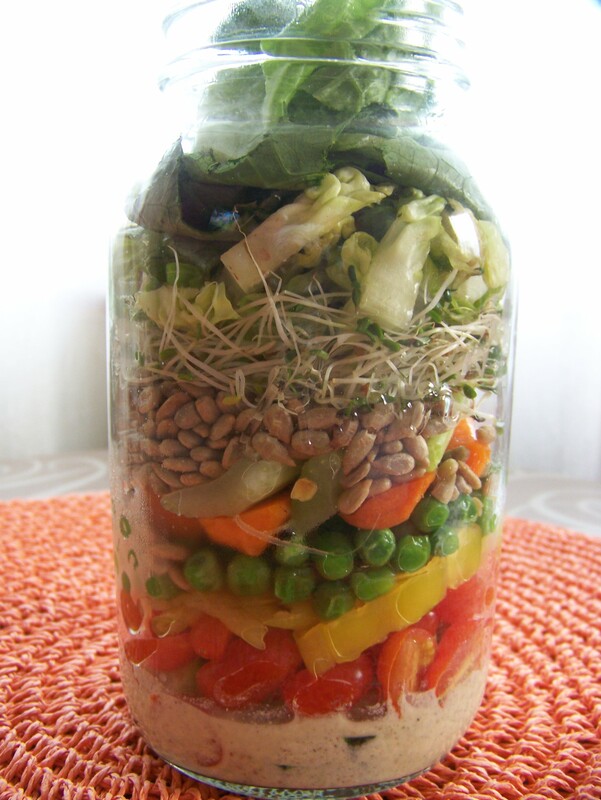 The first jar salad that I will share would be my “go to” favorite when making a salad from a buffet. The amount of each ingredient depends on the size of your jar. Since I follow the Weight Watchers 360 plan, I eyeballed all the 0 Points Plus ingredients and measured out the other additions. 1. 2 Tablespoons of my homemade plant-based Tangy Ranch Dressing. Since my cucumbers were not organic, I scrubbed well and peeled. 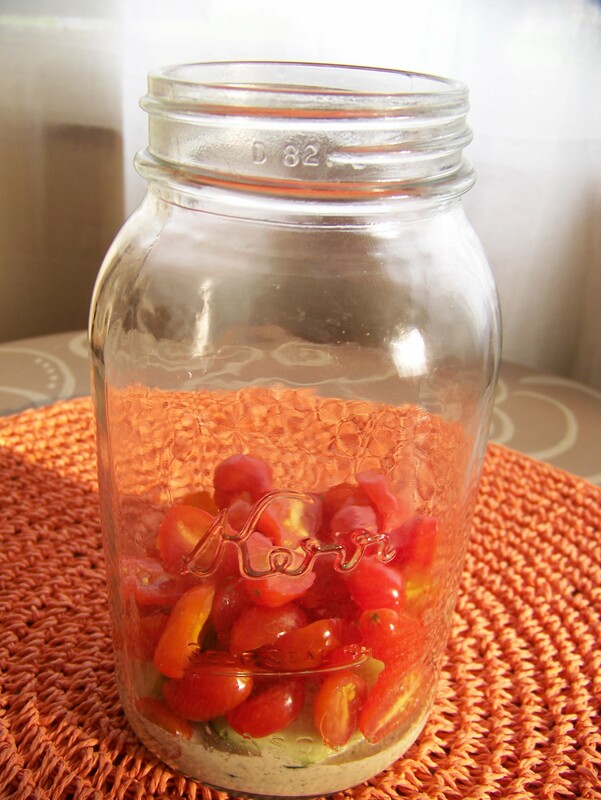 I find that cherry or grape tomatoes hold their shape better and do not get as runny in the jars as larger tomatoes. 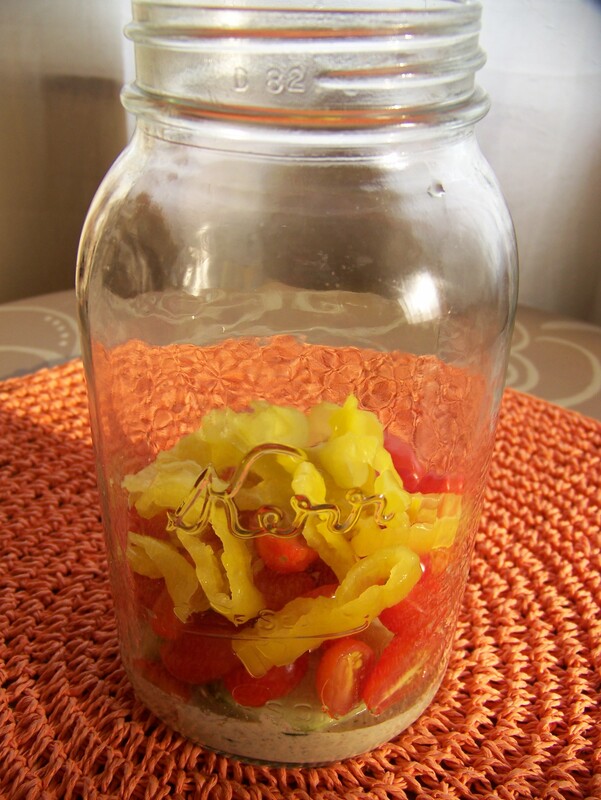 Banana peppers impart a lot of flavor to salads. I also LOVE them on pizza. 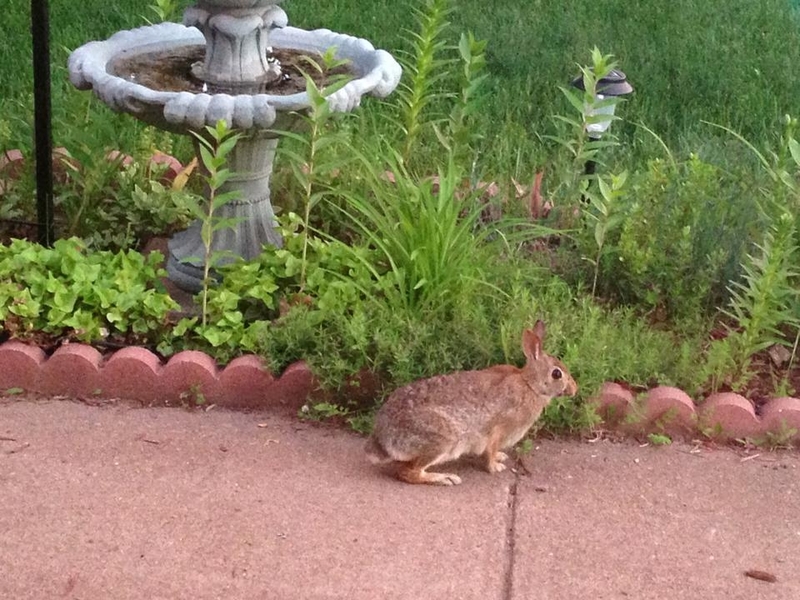 I am not a huge fan of peas unless they are fresh out of the garden. However, I do enjoy the texture of peas in a salad. They always have carrot sticks on a salad bar so I thought I would leave the carrots in larger pieces. There is nothing like the satisfying crunch of celery! Sunflower seeds. Need I say more? Sprouts are so fresh and delicious. 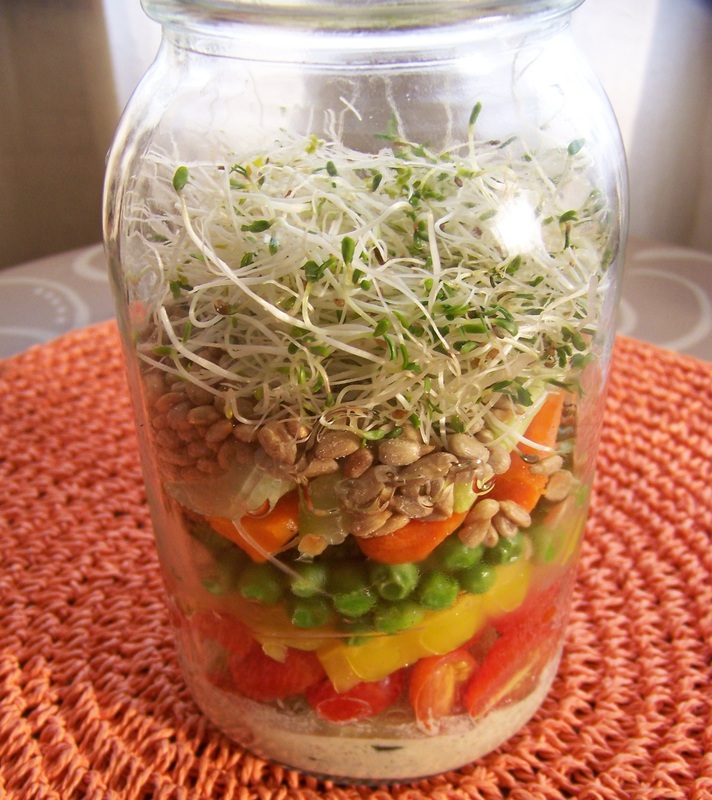 Bean sprouts also make a wonderful addition to jarred salads. 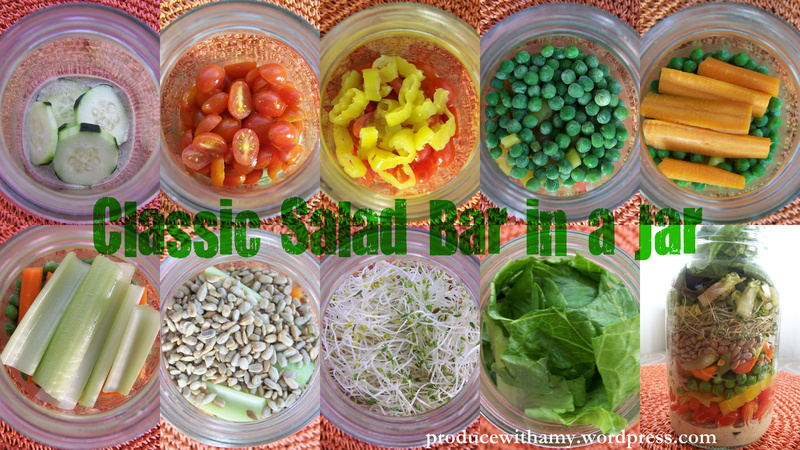 While the Classic Salad Bar in a Jar was delicious. I must say, that the WALDORF INSPIRED SLAW was phenomenal. 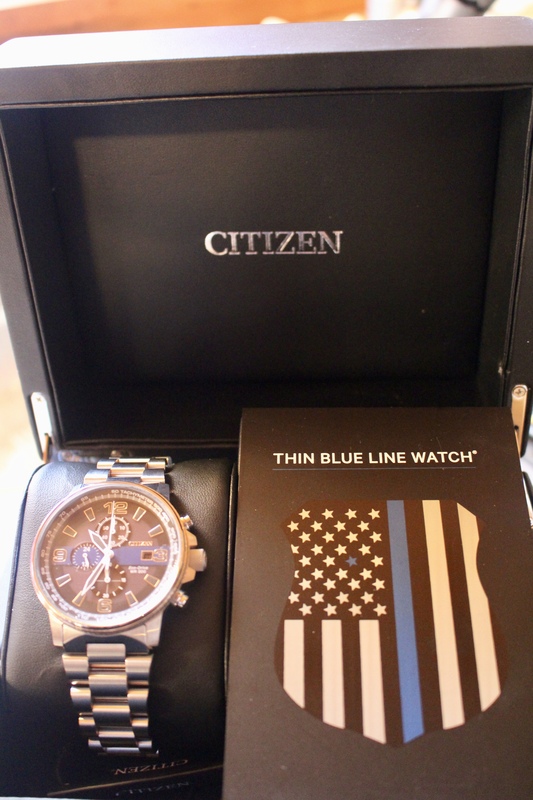 In fact, one day I had one for lunch AND dinner. 3 Tablespoons of plant-based Mayonnaise (I used Vegenaise) but your favorite brand will do. I added 1/4 cup of lemon juice and 1/4 cup of raw apple cider. Salt and pepper to taste. 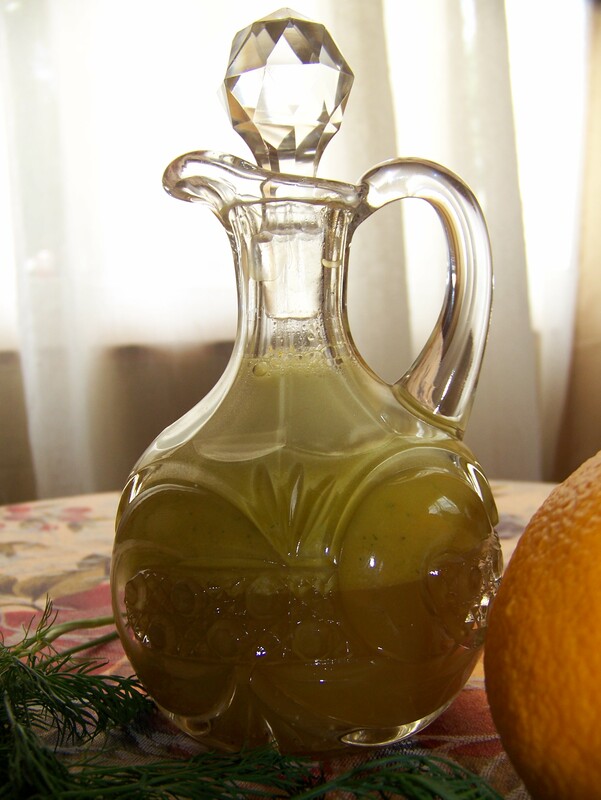 Many Waldorf Salad Dressings call for sugar but I did not add any since I like mine tangy. Plus, I found that the fruit that I added to salad imparted just the right amount of sweetness. 1. I added three Tablespoons of the dressing to the bottom of the jar. 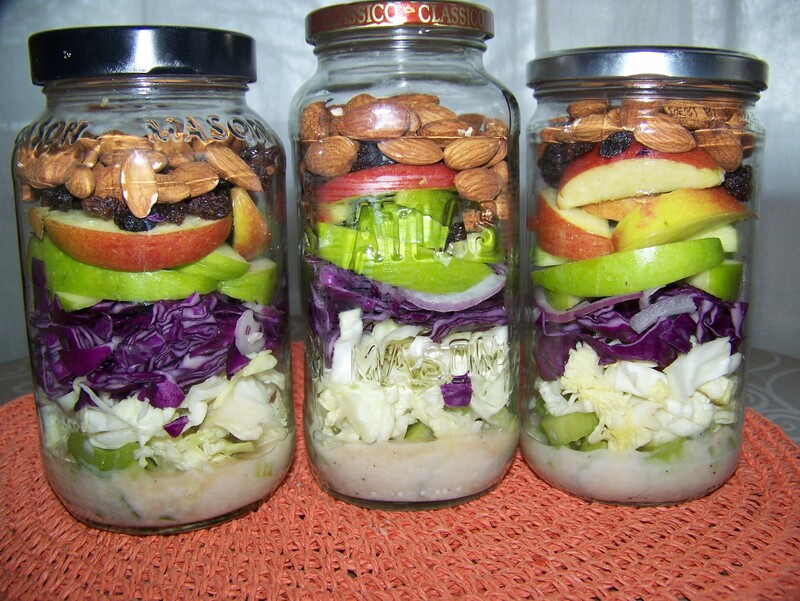 *Note ~ The second time I made this jarred salad I tossed the cabbage in the dressing and celery first . I liked the way it marinated and thought it was more flavorful this way. 9. Red grapes (I had to run to the store to get grapes after I made the salads. I sliced the grapes in 1/2 and added to the top). Today I made the Waldorf Inspired Slaw but instead of grapes I added pomegranates since they are in season. 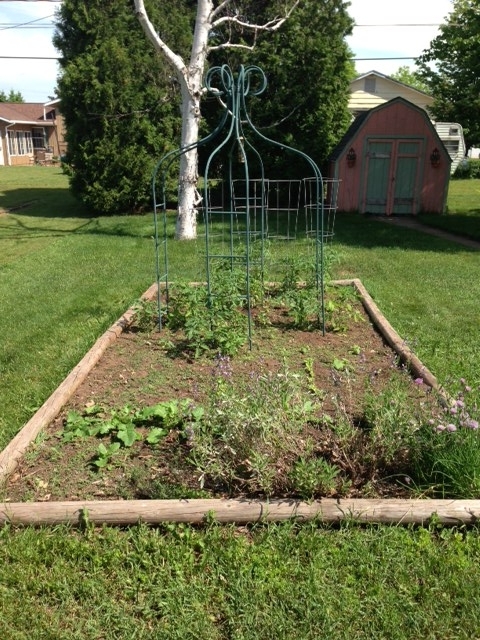 I hope that my post helped answer a few questions about Mason Jar Salads and inspired garden fresh eating for you and your family. You will find more recipes under the salad tab at the top of the page. 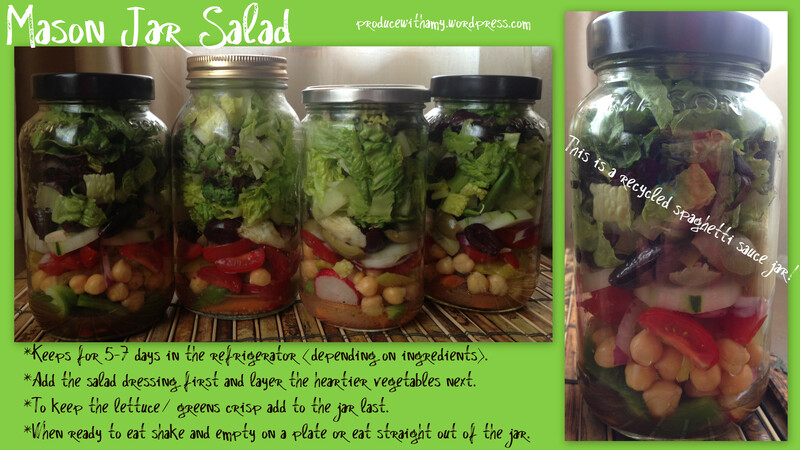 Please feel free to share some of your favorite salad jar combinations in the comment section or on my Facebook page. Here is a link to these recipes on Pinterest. I am up to 244 likes and would love to see more health minded and creative individuals join the conversation. Please recommend my blog to your friends and family. After experimenting with Mason Jar Salads you might find yourself adding an extra row of lettuce to your garden this summer. 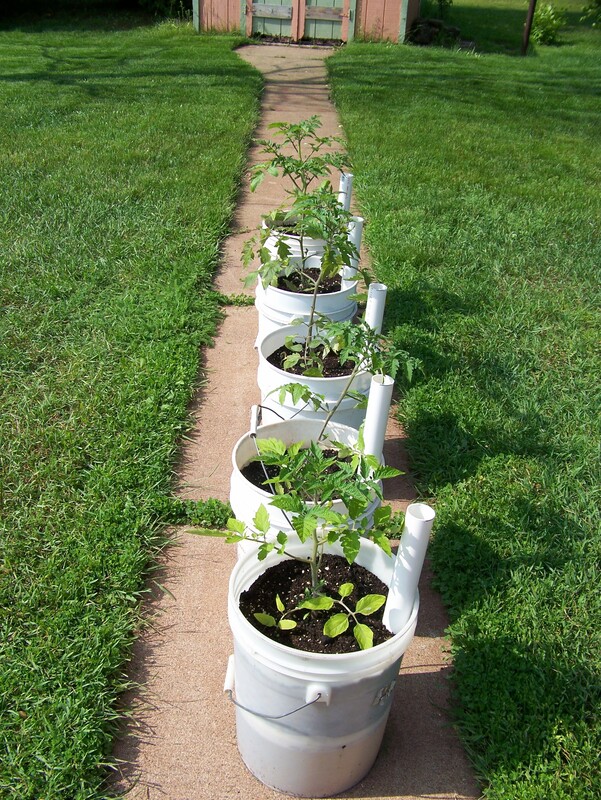 I know that I am eagerly awaiting getting my garden in the ground. 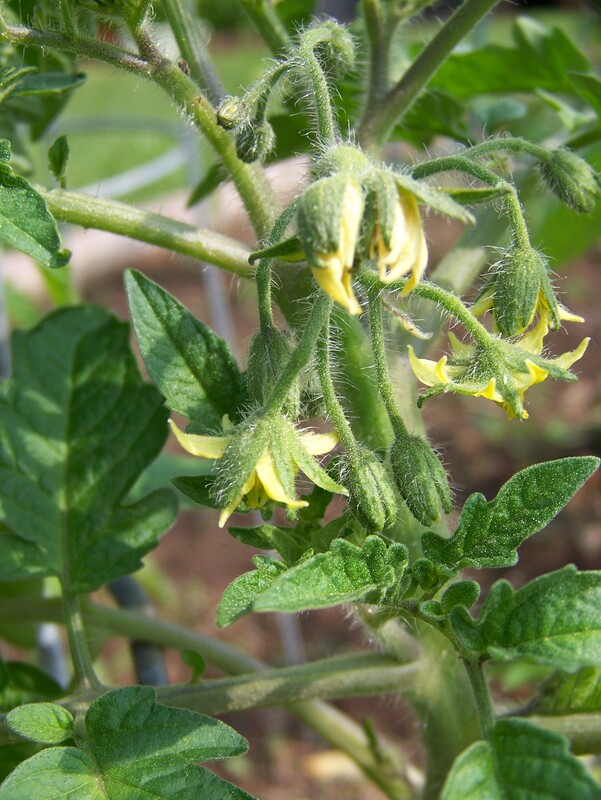 I have been told that in the Upper Peninsula of Michigan the second week of June will be the time to get the tomatoes and other plants in the ground. Cheers to a happy, healthy, and productive week!